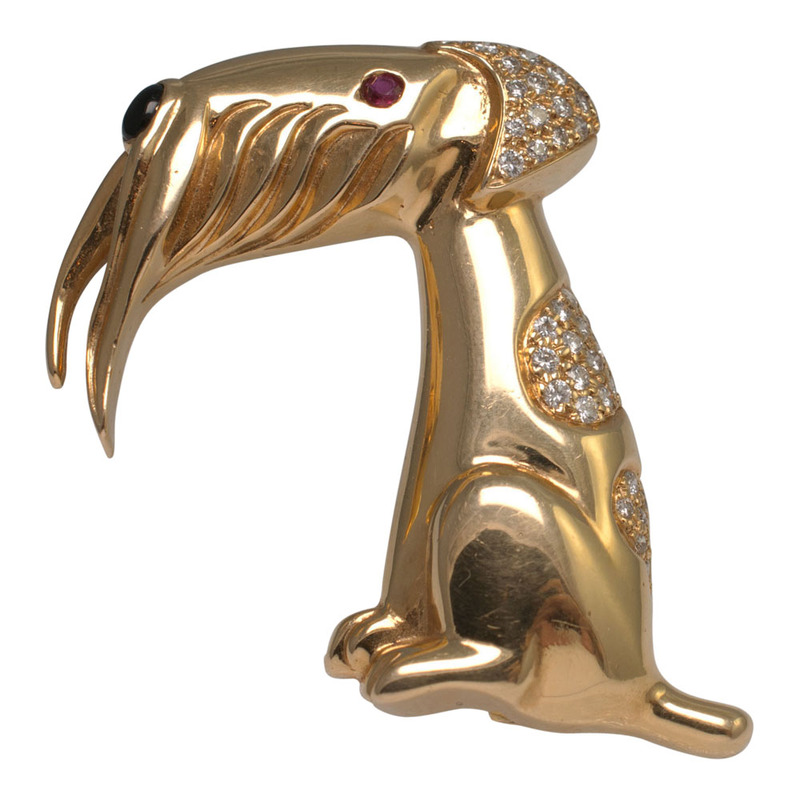 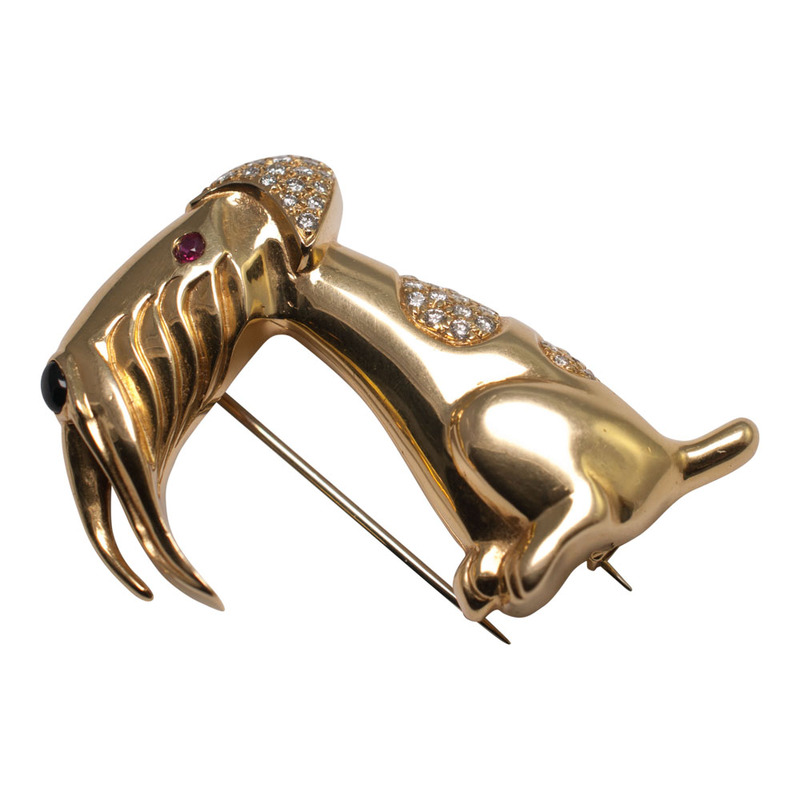 18ct gold and diamond cartoon style brooch of a Schnauzer by David Morris. 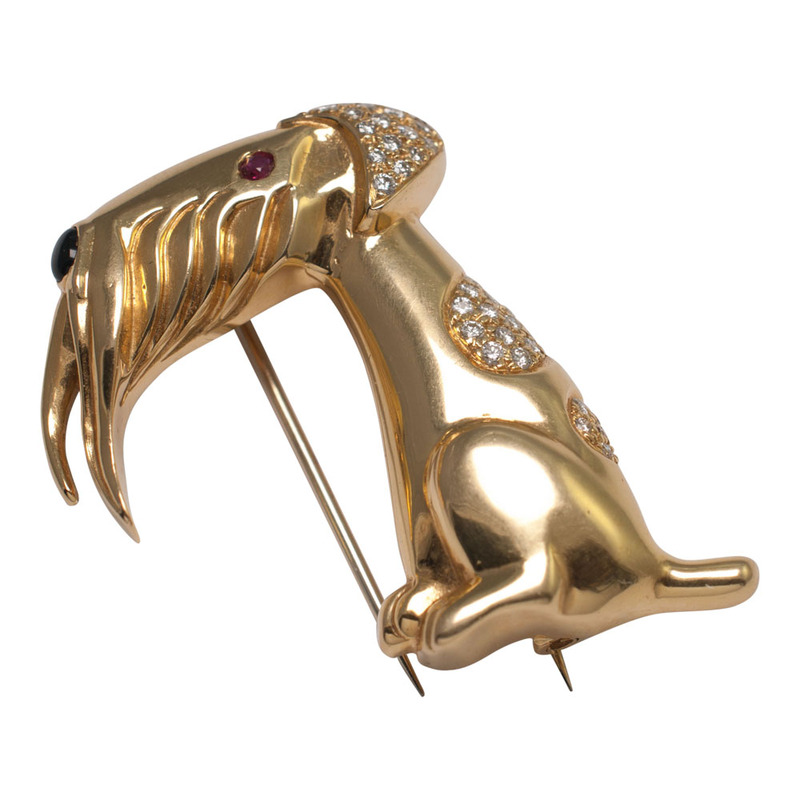 The brilliant cut diamonds on his head and back weigh 0.50cts and he has a ruby eye and an onyx nose. 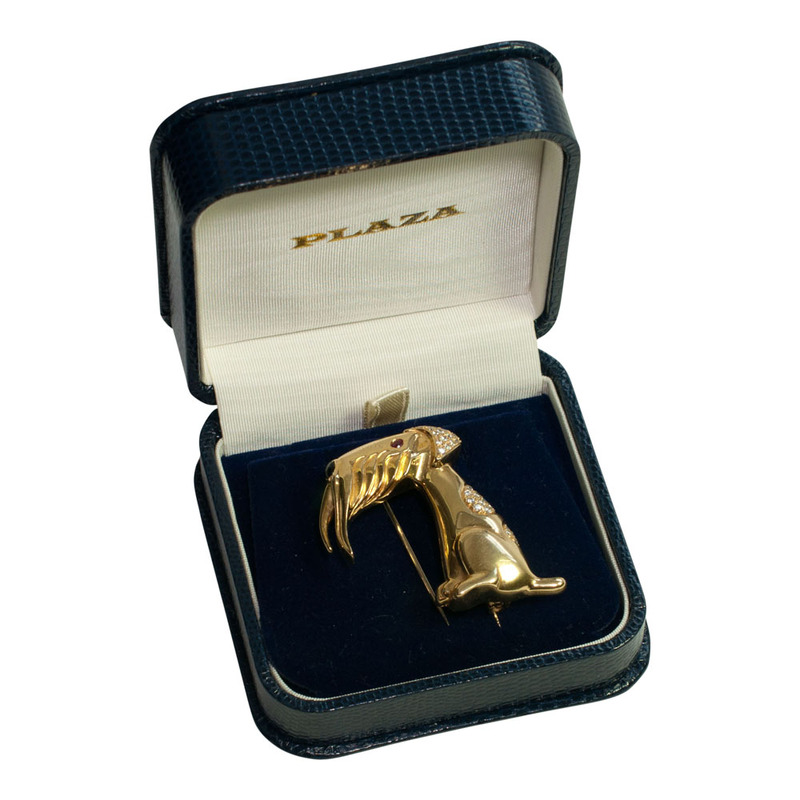 He has a hinged double clip at the back, with one pin locking with a revolving clasp. 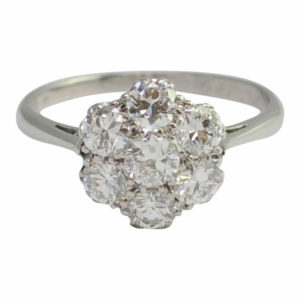 He weighs 17.70gms and measures 4cms x 3cms. 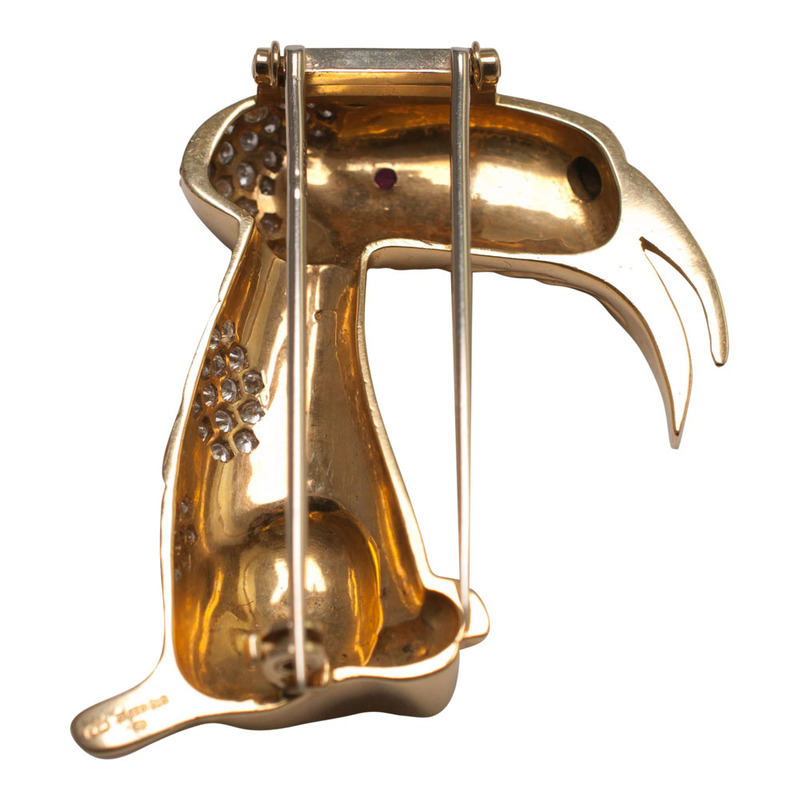 Hallmarked 18ct gold London 1992. 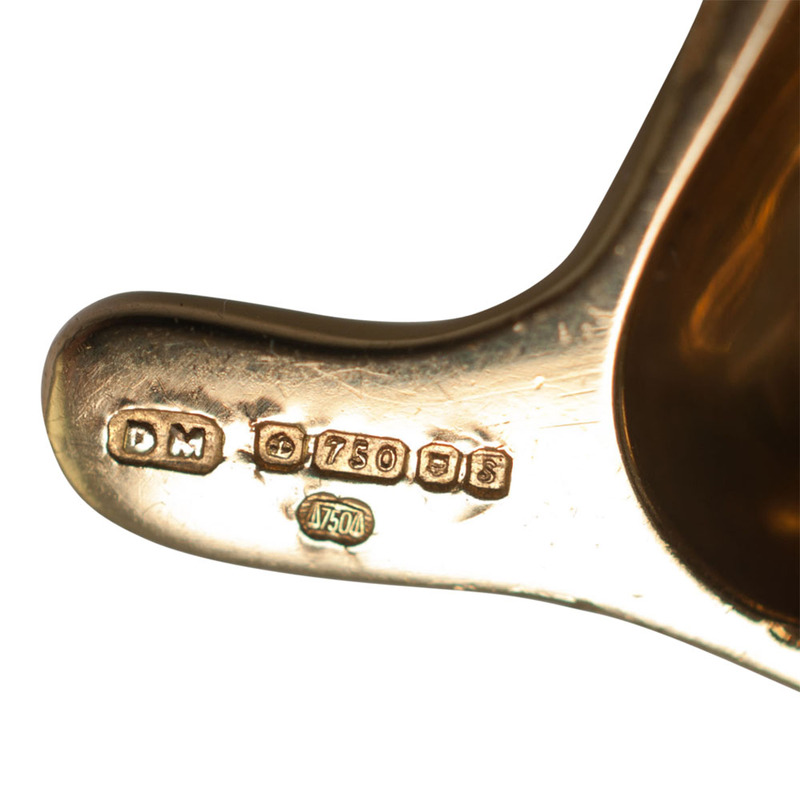 Stamped DM. 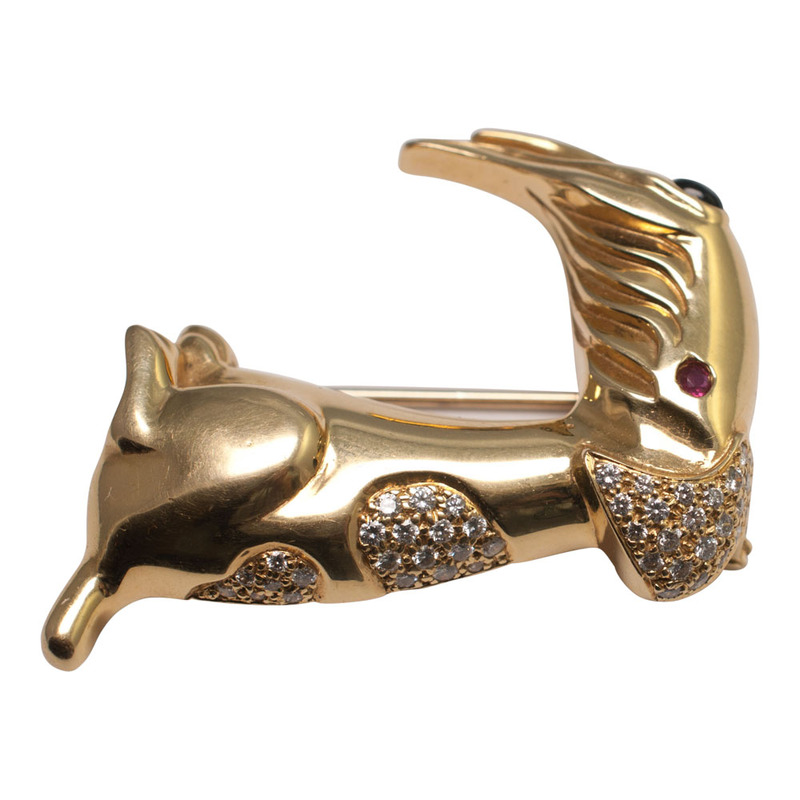 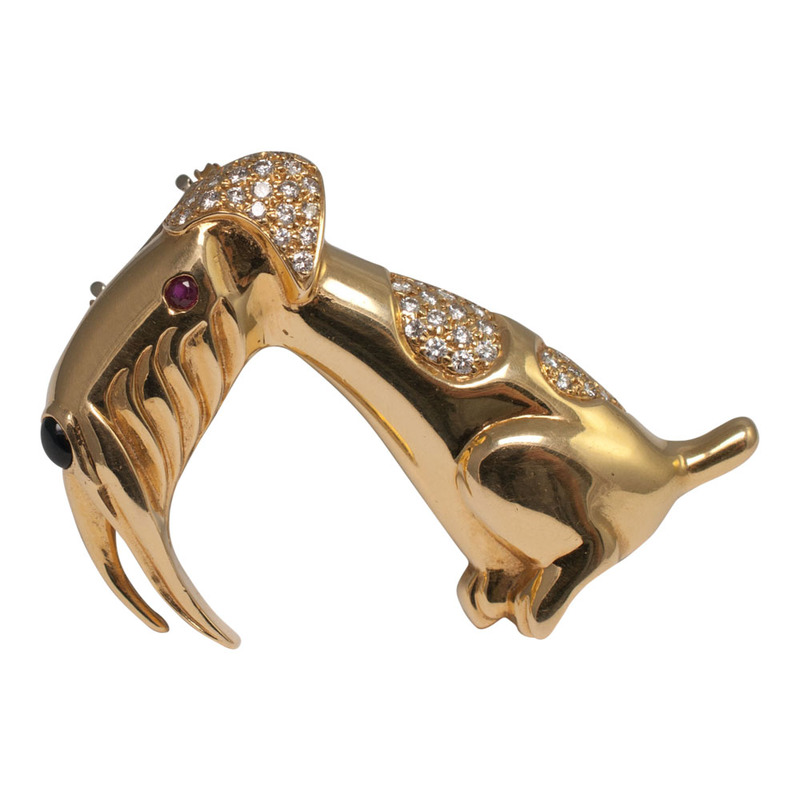 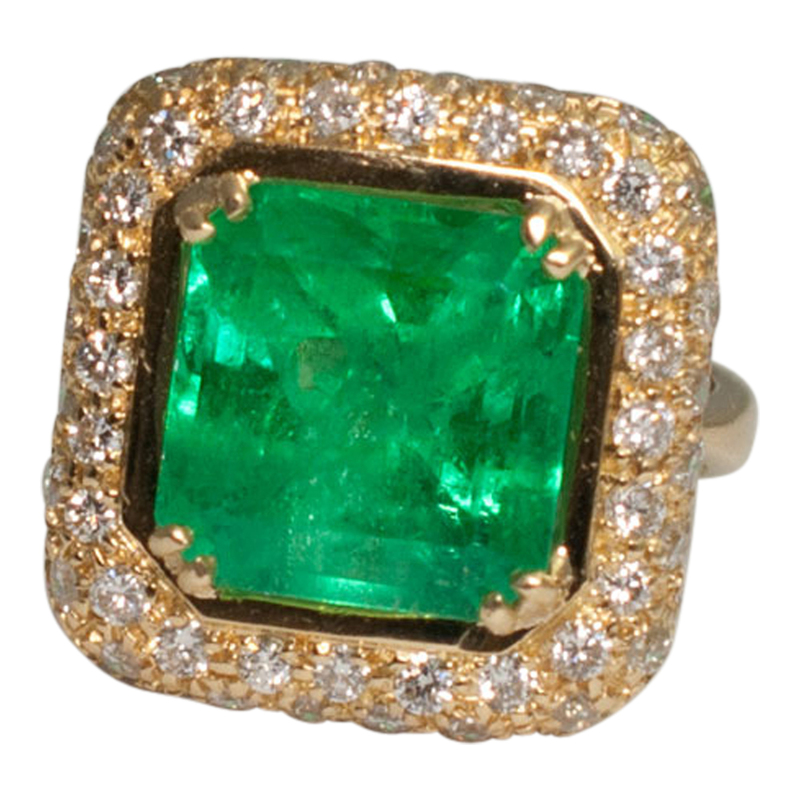 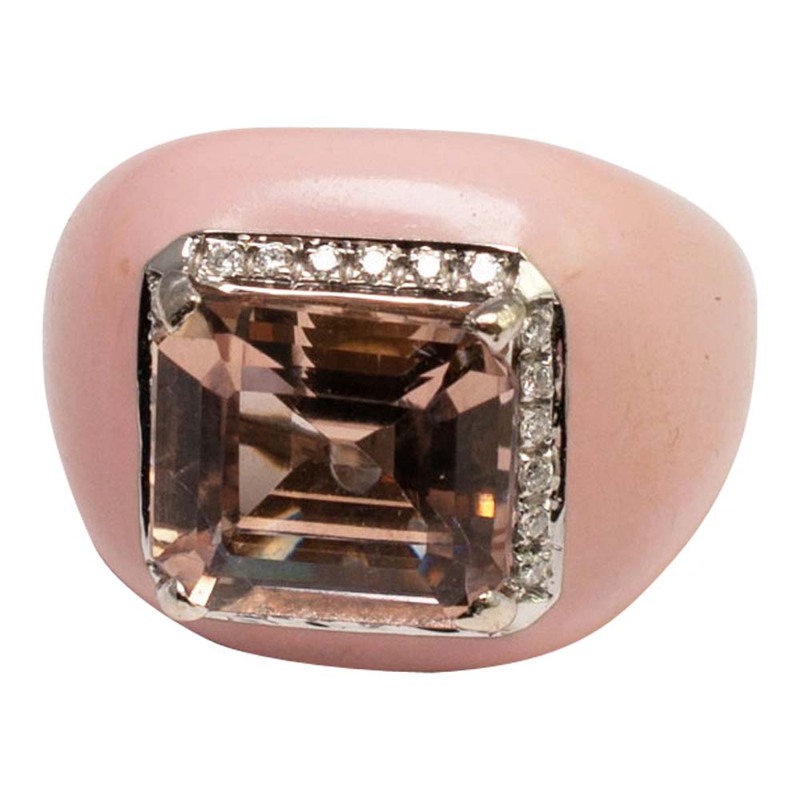 SKU: B5 Categories: Brooches, Diamond, Gold, Onyx, Ruby Brand: David Morris.